In July, 61 Chinese workers concealed themselves in the Siberian mountains after fleeing a labor dispute with a local businessman, a typical example of the "border cooperation" problems that China and Russia have to deal with. The huge economic potential of cross-border ties is frequently overshadowed by a lack of proper institutions, political will, and mutual understanding. At 4,300 kilometers, Chinese-Russian border is one of the longest in the world, shaped by the contending histories of two expanding empires. The border was established in the mid-19th century by a series of treaties. The 20th century brought further tensions. After the Sino-Soviet split, the two powers engaged in a brief border conflict in 1969. During the 1970s and 1980s the border was turned into a fortress with thousands of troops, tanks and fighter jets. When Russia and China started to cooperate in the border regions in early 1990s, the landscape on both sides of the line was very different. The Russian Far East was a military outpost of a mighty empire, a huge territory with a small population, and many of the locals were relatively well-paid specialists. The Chinese Northeast was a bleak area with many State-owned enterprises on the brink of bankruptcy. Over the last 20 years, the situation has changed dramatically. The Chinese part of the region is doing much better. It is still considered backward by current Chinese standards, if compared to the Pearl River Delta. But the economic misery on the other side is prominent. Decades of neglect and a lack of investment have wrecked the Russian Far East. The most active young people are leaving the region; according to official statistics, there are 15,000 people leaving the Primorsky region every year, and the actual number is even larger. Right now the region, at 6.2 million square kilometers, is inhabited by only 6.2 million people, compared to 110 million on the Chinese side of the border. In the 1990s, Russians saw cooperation with China as a way to survive. Local authorities welcomed Chinese investment, mainly in trade, agriculture and wood, and labor migrants. Poor and disciplined Chinese were a perfect way out for a region with scarce labor resources. Of course, competition with Chinese brought tensions. For example, directors of some collective farms preferred to fire their Russian staff and hire Chinese workers, but after several months had to take the Russians back after there were reported cases of looting Chinese workers' houses. The locals have never admitted responsibility, but claimed instead that the Chinese made rude suggestions to Russian women. Since the middle of the 2000s, the Russian central government has taken several measures to limit Chinese presence in the Far East, and tried to replace foreign investment with large infrastructure projects like APEC summit. The attitude of locals in the Far East and Siberia toward Chinese is very mixed. Younger and more competitive people would welcome more Chinese participation in the local economy. But large parts of the population fear a significant Chinese presence. The current number of Chinese in Russia is very speculative, with estimates ranging from 200,000 to 500,000 nationwide, half of them in the Far East. This uncertainty provides a base for unrealistic estimates of the number of Chinese citizens in Russia as reaching several millions. This results in the "China threat" theory and more government policies to stop Chinese penetration. At the same time, people in Northeast China are not that keen to go to Russia, given better opportunities in China's coastal provinces or in Southeast Asia. 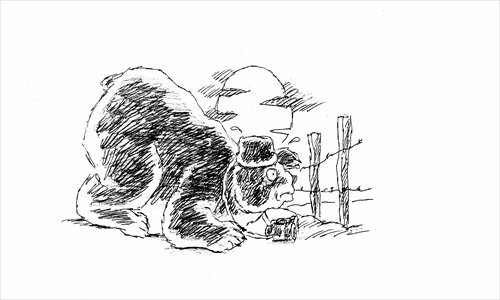 Mutual popular misconceptions thus make China-Russia cooperation in the Far East an unfulfilled promise.